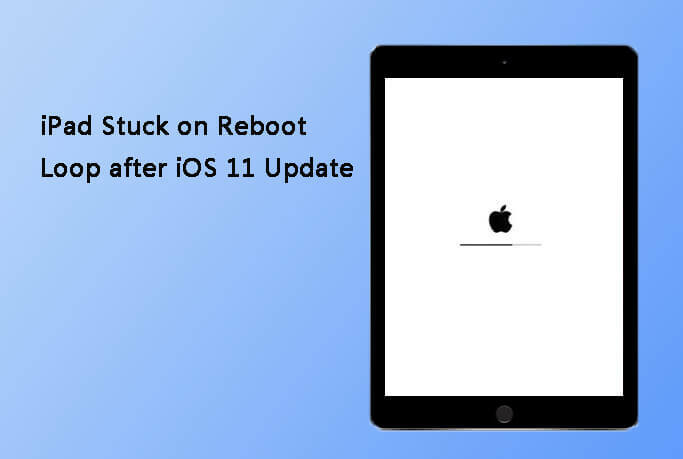 As an iOS 11/10/9/8 devicreibe user, restarting your device may have become one of the daily routines, since the iPhone, iPad or iPod could be frozen, password-locked, stuck in recovery mode or stuck in Apple logo screen of death, etc. If you prefer free iPhone/iPad/iPod Touch reboot solutions, read the FAQs below, which also covers how to free reboot a jailbroken iPhone or other jailbroken device. Q 1: My iPhone Is Frozen and Won't Turn Off. Any Help? Many of you may have met this iPhone frozen or hung issue. Your iPhone locked up completely, could not respond to any put, or even couldn't wake up from sleep. Such accidences could also happen to iPad and iPod. Still, you can easily reboot your device when frozen to normal and make it run smoothly with Any iOS System Repair (ReiBoot), which will be described in the next content of Q 3. Q 2: In What Other Scenarios Do I Have to Force to Reboot My iDevice? Devcie like iPhone, iPad is stuck in recovery mood loop after iOS 7 update or after restore. iPhone is stuck in white Apple logo screen of death. You forget the lock-screen password and the device is inaccessible. You need to turn off your device but the Home/Power button is broken. iDevice is stuck in some kind of weird boot loop. iTunes cannot recognize your iPhone and you have to restart it for another try. In fact, rebooting your iOS devcie is a regular part of maintenance because it will help your device keep running smoothly. Rebooting your device will fix all the issues you met described in Q 2 above. If you want a buckshee solution, we'd like to recommend you Any iOS System Repair (ReiBoot), which is the free iPhone/iPad/iPod reboot software. Unlike other tools in the Internet, Any iOS System Repair (ReiBoot) can help you force to reboot all iOS devices without data loss and damage, including iPhone X, iPhone 8/8 Plus, iPhone 7/7 Plus, iPhone 6(s)/6(s) Plus, iPhone 5S/5C/5/4S/4, iPad Pro, iPad Air 2, iPad mini 3, iPad Air/4/mini 2/mini, iPod Touch 5/4, etc. After 2 clicks by entering the recovery mode and exiting recovery mode, your devcie will run to normal. If your device is stuck in restore mode, just 1 click and you can fix this issue. Any iOS System Repair (ReiBoot) runs on Windows 10/8.1/8/7/XP/Vista. If you are using Mac OS X Yosemite 10.10, Mavericks 10.9, Mountain Lion 10.8, 10.7, 10.6, go to Any iOS System Repair (ReiBoot) for Mac. Here is the example on how to free and hard reboot iPhone without Power button and Home button. 1. Download and run Any iOS System Repair (ReiBoot) on your Windows computer. Connect iPhone to this computer and Any iOS System Repair (ReiBoot) will automatically detect your device. 2. Click "Enter Recovery mode" to put your iPhone into restore mode. 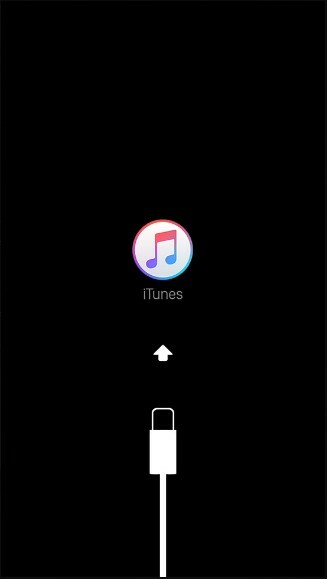 If your iPhone 4S has already stuck in this "connect to iTunes" screen, skip to next step. 3. Click "Exit Recovery Mode". Then you iPhone will restart itself. You will find your iPhone reboots to its normal settings. Then you can regain access to your device and continue to use it as before. Please keep in mind that rebooting iPhone with the app Any iOS System Repair (ReiBoot) will never cause data loss on your device. If you have accidently deleted or lost data before iPhone runs into critical issues, you can rely on Any iOS System Repair (ReiBoot) to restart your iPhone and the recover all the lost data with solutions.